Spring is the time when sewists start Easter and spring sewing. 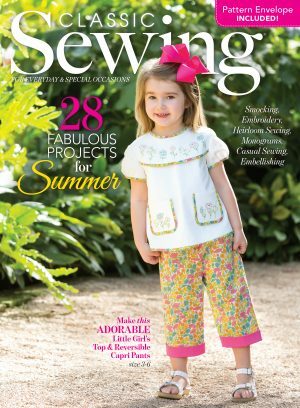 This issue is packed with patterns, techniques, and ideas to make your sewing fun. Three full-size patterns are in the attached envelope: a wraparound dress by Gail Doane, a classic blouse for women, and a lovely heirloom dress for girls from Children’s Corner. There are great technique articles on working with a wing needles, making your own insertion, and making your own lace. Projects for each technique are featured. 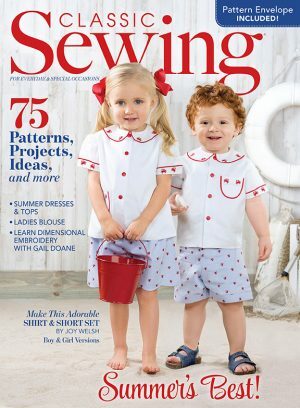 It’s time for spring sewing, and this issue is your treasure chest of ideas! 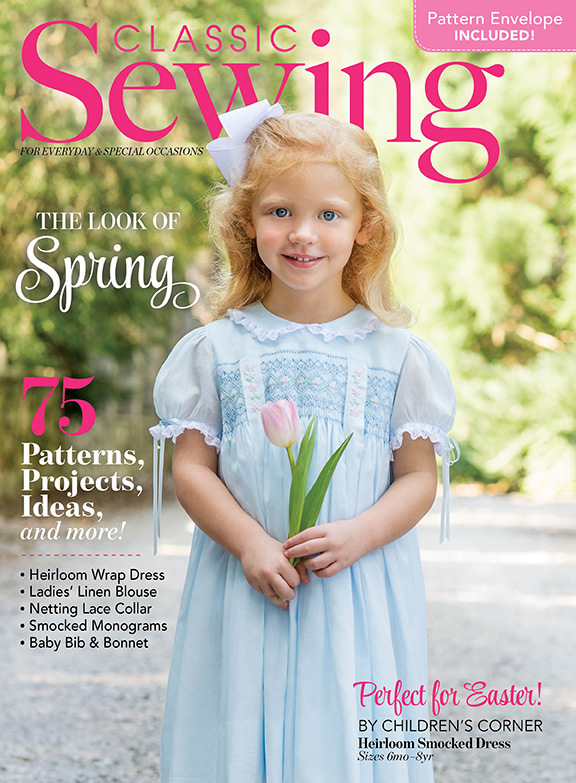 The Spring issue is packed with wonderful ideas for Easter and Spring sewing. From baby to adult, there is something for everyone in this issue. 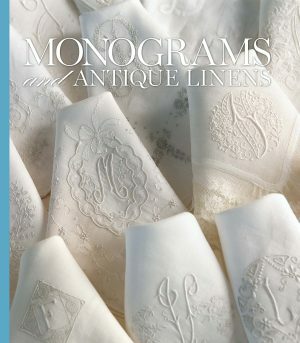 Adorable smocking plates with bunnies, monograms, geometrics, and flowers fill the pages for those who love to smock. Smocking on English netting is easy to accomplish with instructions from Judith Adams. The pattern envelope offers a beautiful Heirloom Wrap Dress by Gail Doane. Using a plethora of heirloom techniques, this dress is a masterpiece. Jodi by Children’s Corner is a traditional heirloom dress pattern for girls that is included. And for ladies, there is a linen blouse pattern sporting a cute drawstring pocket that will make your spring wardrobe a little sassier. For those of you who want to expand your sewing skills, there are wonderful articles and instructions for making freestanding lace, making embroidery insertion, and working with a wing needle. Evy Hawkins shares some great ideas for working with precut fabric bundles. There are other great features that will delight you in this issue. Let spring be your time to learn something new and try new techniques. Happy sewing!